The Following is a guest post by Oren Ezra (Twitter: @Oren_Ezra). Oren Ezra is the VP of Marketing for Pepperi, the fastest-growing provider of sales apps for manufacturers, wholesalers and retailers. In today’s world there are few things we can’t learn to do using the power of social media. We have the power to persuade, engage, inform, and especially communicate. While we’ve extensively explored the impact social selling can have on the B2B market; i.e. 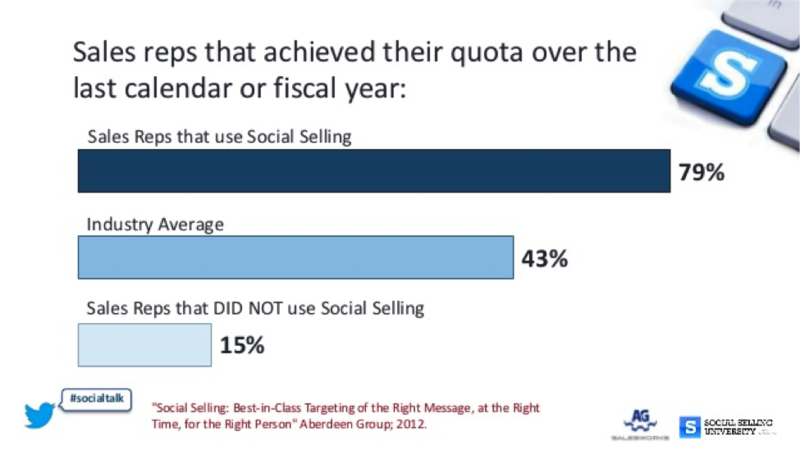 sales reps using social selling methods are 79% more likely to obtain quota than their counterparts. There’s a lot more to be said about how companies can use the art of social selling to improve their team internally as well. What if I told you, you could use social selling not only to make quota and find more sales opportunities, but also to make your team of sales reps a more cohesive and inclusive bunch (which can also greatly affect your bottom line)? 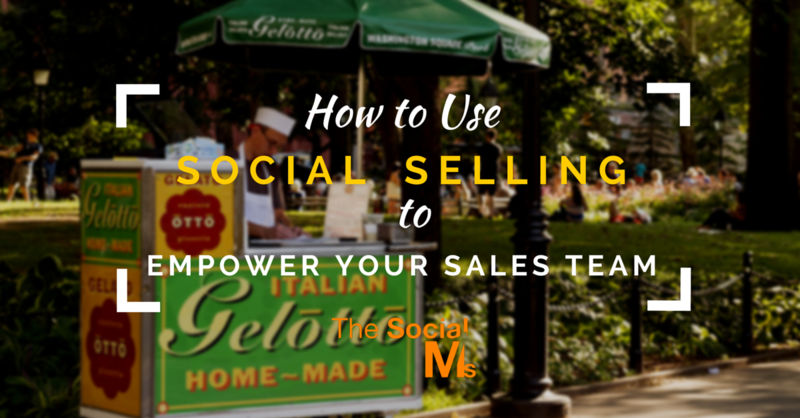 Following are the ways you can use your social selling mechanisms to do just that. So you think you know your colleagues at work, the management seems to be pretty transparent, but is everyone really on the same page? The first step to ensuring your entire company is together and on the same page is by putting everything out there. This shift to a more open style of management doesn’t happen overnight, but with social selling you can maximize the amount of information everyone on the inside knows about the company. It’s important for each team member regardless if you’re on the sales team, the marketing team, etc. be up to date on all of the on goings of the company. It’s been found that 70% of all of the content created by B2B marketing teams is never even touched by the sales department. The benefits the sales team could reap by utilizing this material are exponential. 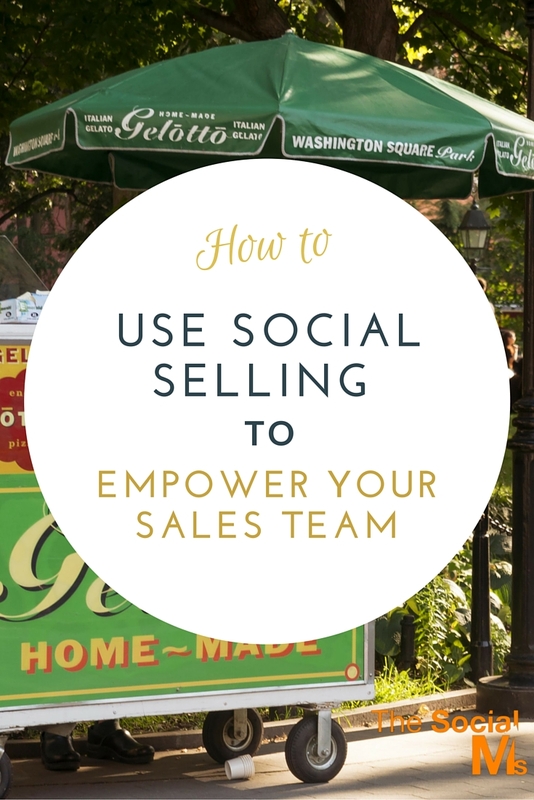 Social selling makes this entire process more of a conversation and once the conversation is shared internally via different social channels everyone has access to use the marketing content as they see fit. 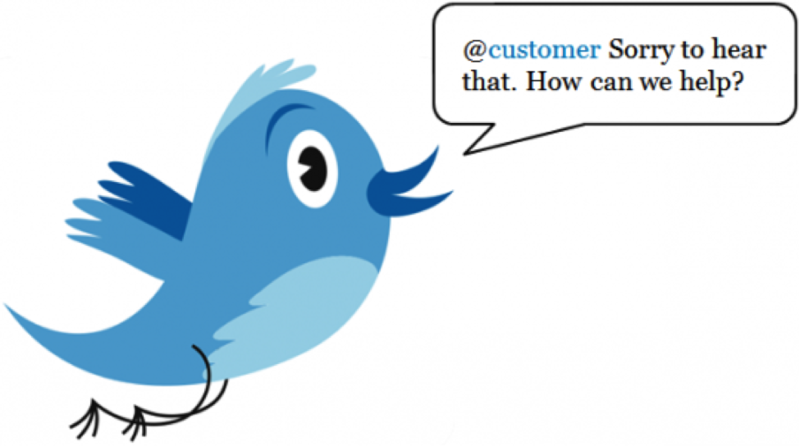 For instance, all of the content marketing efforts i.e. white papers; case studies, etc. can be great tools for sales reps to utilize to educate prospects throughout the sales pipeline. For example, my sales team uses the productivity tool slack to communicate amongst ourselves and share all of our content. 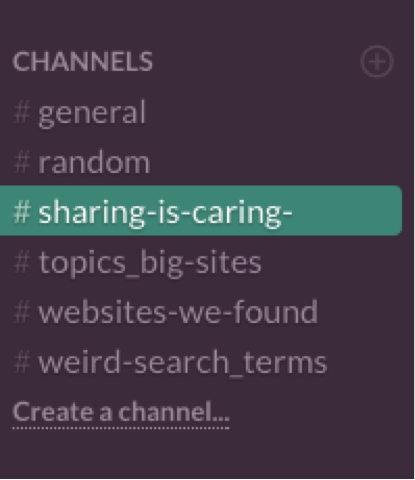 Within Slack we have a Sharing-Is-Caring channel where everyone can share the latest articles, and whereabouts of interest regarding the company. While you may not realize it, your company’s greatest ambassadors are right there in your office working alongside of you. Empowering your sales team means showing them how valuable they are to your business by utilizing their resources. Your sales team knows your product better than anyone else and he or she is willing to go above and beyond to tell people they should be doing business with you. Take all of this positive energy and use it not only in the social selling efforts, but also to empower the sales team. Think about each member of the sales team as a significant part of your online community. When it comes to sharing content, answering customer inquiries, or inciting insightful conversation, these guys are the best because they’re committed to pleasing customers. 78% of consumers have bailed on a potential transaction because of poor customer service experience. By sharing statistics like this with your sales team it encourages them to step up their social selling game and communications, but it also makes them feel more valued and respected knowing what an impact they play in the bigger picture. In order to form these tight-knit and long lasting relationships with clients on the outside, it’s first essential that you build authentic relationships within the internal culture of your business. Developing close relationships amongst the salespeople is important to fuel healthy competition and learn from one another from both their positive and negative experiences. Together sales reps can brainstorm innovative ways improve the sales process. Team members can bond online through social selling by sharing one another’s unique content, learning from one another, and communicating via social networks outside of a strictly work setting. Social platforms are a great way to foster these relationships. Not only does it ease the communication process, and give everyone a common platform to share ideas and experiences, but it also serves as a great mechanism to promote people’s good work. The small things should be celebrated in order to form positive relationships. By sharing a rep that had a great quarter, or renewed a contract with a client, as a star on your social channels it makes them feel empowered and provides more incentive to work harder. Not only does this empower your sales team but it also shows your social audience how much you care about your employees increasing the likeability of your brand. 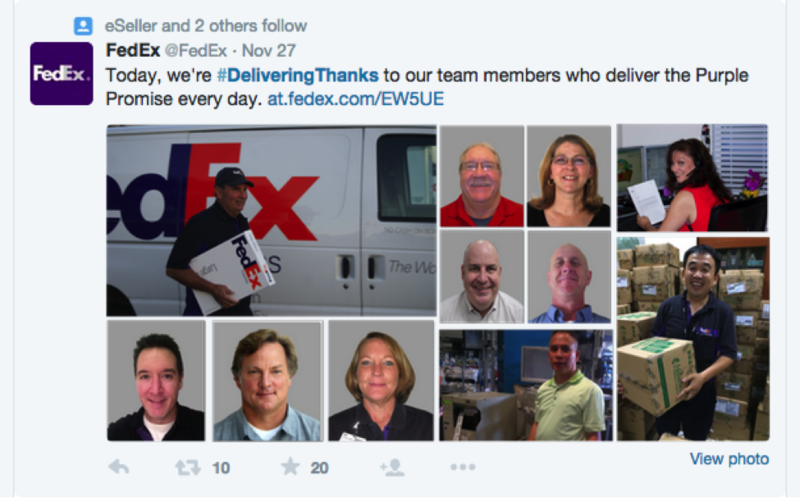 FedEx launched a social media campaign #DeliveringThanks to recognize their employees on Twitter and Facebook that go above and beyond their call of duty to simply deliver packages. The social selling initiative is certainly something that the entire company needs to take part in. The outward impact will definitely show its effects, but if done correctly you should soon be able to see the inward effects of your social selling strategy as well.